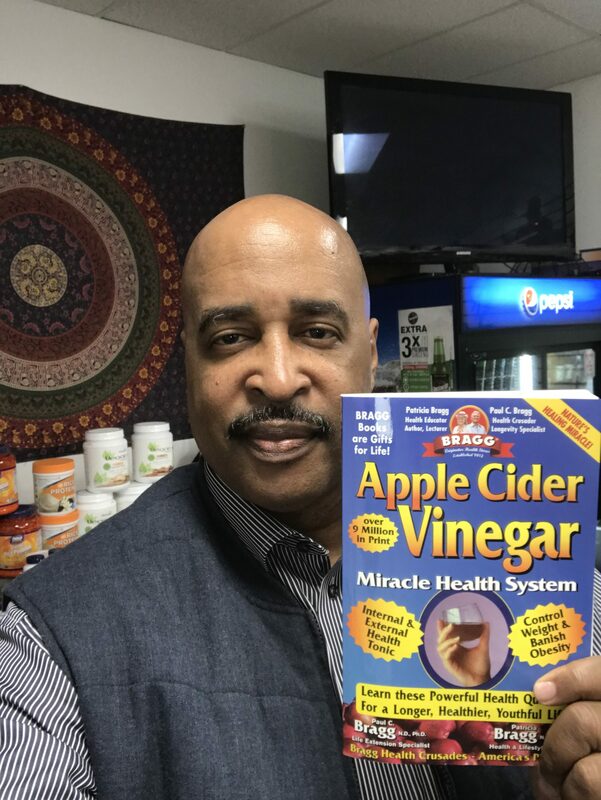 Nine months ago I started taking the All-In-One Master Tonic, a unique blend of Bragg Organic Apple Cider Vinegar (with the Mother), Lemon Juice, Ginger, Honey, Cayenne Pepper, Turmeric, Cinnamon and Cloves. 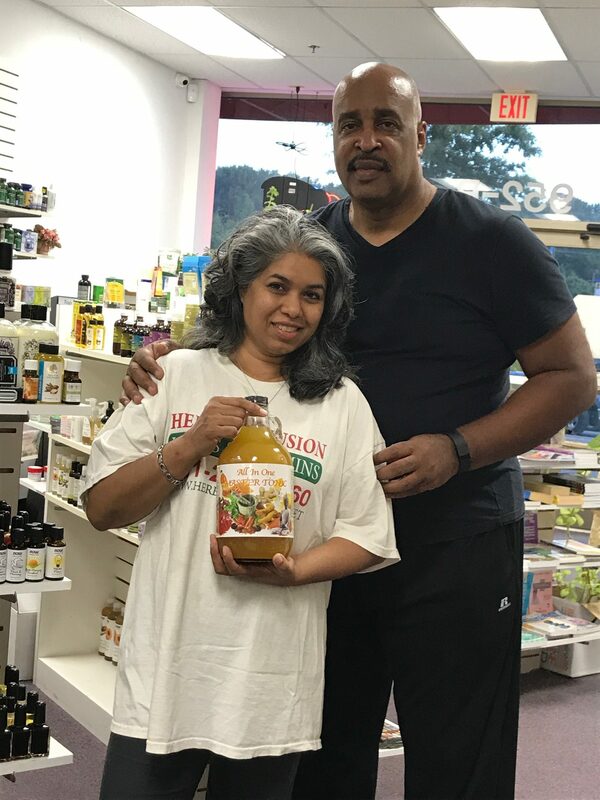 The Master Tonic is sold exclusively at Herbal Infusion, a health and wellness store and spa located in Fort Washington, MD. I was overweight and taking medication for high blood pressure, high cholesterol and diabetes. My doctor was skeptical that some “apple cider vinegar” tonic could yield any dramatic results. I started an exercise regimen, continued cycling, modified my diet and continued taking the All-In-One Master Tonic 2-3 times a day. At my next medical appointment, my doctor noted improved lab results specifically, in my blood pressure and cholesterol numbers. Three months later I had a follow-up medical appointment. My blood pressure dropped from the 160’s to 120/80. 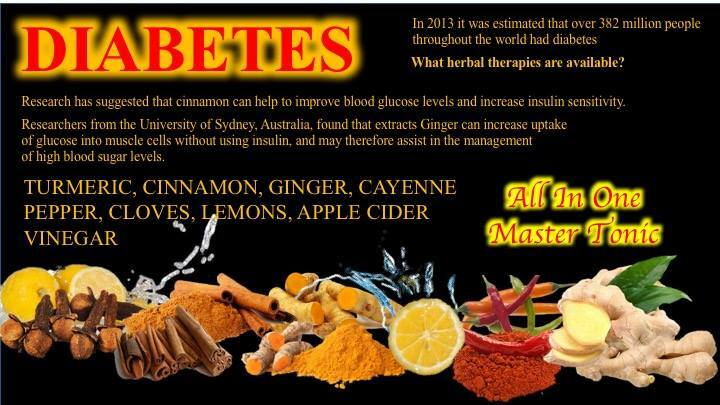 The doctor reviewed the lab results and instructed me to STOP taking my diabetes medication and to cut my blood pressure medication in half. The doctor also reduced my cholesterol medicine to half of my previous dosage and recommended that I continue taking the All-In-One Master Tonic. Click here to visit the Master Tonic Facebook page. Hey Buddy!, I found this information for you: "The All-In-One Master Tonic". Here is the website link: https://blackmeninamerica.com/the-all-in-one-master-tonic/. Thank you.